Why should you take Blockchain? Learning Objectives: In this module, you will learn Blockchain and its working, its underlying network, and the types of Cryptocurrencies as well. Learning Objectives: In this module, you will understand the structure and mechanisms of Blockchain, the several types of Cryptography and consensus algorithms. Also, you will brainstorm on the several types of Blockchains. As a Blockchain consultant, guide your client for implementing Blockchain in their respective business domain. Learning Objectives: In this module, you will learn about Bitcoin, its network structure, and the working of Bitcoin transaction system. You will setup your own bitcoin wallet to infer the buying and selling of Bitcoins. Learning Objectives: In this module, you will learn more about Bitcoins and its mechanisms. You will understand why transactions with Bitcoins is secure and efficient. Also, you will learn how Bitcoin mining works and the methods of mining. 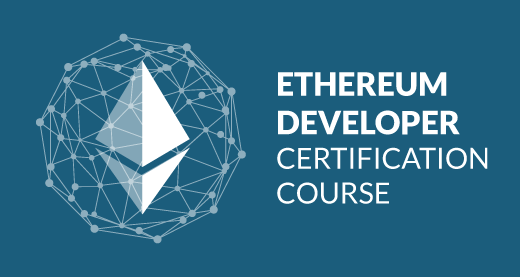 Learning Objectives: In this module, you will learn Ethereum, its ecosystem and develop smart contracts using Solidity programming language. Learning Solidity: Contract classes, functions, and conditionals, Inheritance & abstract contracts, Libraries, Types & optimization of Ether, Global variables, Debugging, Future of Ethereum. Learning Objectives: In this module, you will learn about public and private Blockchain. You will be able to setup your private Blockchain environment. Also, you will be developing a smart contract on Ethereum and will be deploying it on web and console. Learning Objectives: In this module, you will learn about Hyperledger project to develop an enterprise-grade and open-source distributed ledger framework. You will be taught the Hyperledger architecture and the consensus mechanism applied in the Hyperledger. Also, you will learn four major Hyperledger frameworks. Learning Objectives: In this module, you will learn about Hyperledger Fabric. You will be taught to develop business networks using Hyperledger Composer. Also, you will be deploying & testing your business network. Learning Objectives: In this module, you will learn about the MultiChain platform. You will also be able to setup your private Blockchain environment and be able to customize your Blockchain parameters as per your requirements. Learning Objectives: In this module, you will understand how Blockchain is shaping economy of tomorrow. Discussions on various use-cases of Blockchain will clear the missing segment of the picture. How can we bring Aadhaar Card system onto Blockchain? Skills: Blockchain frameworks and business applications. What are the objectives of Edureka's Blockchain Course? Why should you go for Blockchain Certification Training? Blockchain is a revolutionary technology and soon, it will disrupt some of the major industries. Apart from Bitcoin, it can be used for a wide variety of applications such as tracking ownership, digital assets, physical assets, or voting rights. To take benefit of these opportunities, you need a structured training with an updated curriculum as per the current industry requirements and best practices. Which skills will you gain from our Blockchain Online Course? Edureka's Blockchain Certification Course will hone your skills by offering you comprehensive knowledge on the structure and mechanisms of Blockchain and its development platforms like Hyperledger, Ethereum, Multichain, and the required hands-on experience for solving real-time Blockchain projects. Who should go for this Blockchain Online Course? What are the pre-requisites for this Blockchain Certification Training? Which Projects are a part of this Blockchain Certification Training? Problem Statement: You need to build a smart contract which is capable of handling property transfer with below cases. Insert some dummy properties to replicate the real world. These properties shall have basic characteristics such as address, location, floors, etc. Problem Statement: Rewards in Crowdfunding’s are usually handled by a central unchangeable database that keeps track of all donors. However, we can do this the decentralized way and just create a token to keep track of rewards. Problem Statement: In a car auction, the price for your car is set by the company itself, therefore there is always a mediating or commission fee involved. Instead, we can create an interactive decentralized auction network where the highest bidder gets the car. What are the system requirements for this Blockchain Online Course? How will I execute the Practicals in this Blockchain Certification Training? For Practicals, we will help you to install and setup a virtual machine with UbuntuOS as the client, using the Installation Guide. The detailed installation guides are provided in the LMS for setting up the environment, and will be addressed during the session. In case you come across any doubt, the 24*7 support team will promptly assist you. Towards the end of the course, you will be working on a project. Edureka certifies you as a Blockchain Expert based on the project. What if I miss a Blockchain class? Will I get placement assistance after Blockchain training? 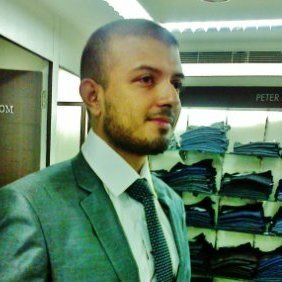 Can I attend a demo session before enrollment into Blockchain certification course? Who are the blockchain instructors at Edureka? What if I have more queries about Blockchain course? What are the advantages of learning blockchain? Blockchain is one of those new-age technologies that is going to dominate the job market in the near future. Blockchain’s scope lies far beyond the realms of cryptocurrencies. Industries like Healthcare, Logistics and Supply Chain and finance are exploring new methods to incorporate Blockchain in their systems. What is the average Blockchain Developer salary? Due to ever growing demand for Blockchain Developers, Blockchain salary figures are skyrocketing with reports suggesting it to be on par with AI related job role salary figures. Average salary for “Blockchain Developer” ranges from approximately $150,000 per annum to around $175,000 and these figures are only set to grow higher largely due to cross vertical application of Blockchain technology. What is the career scope and opportunities in blockchain technology? Blockchain as a technology has reach beyond cryptocurrencies as well. It is being widely implemented in sectors like Finance, Logistics, Healthcare, Voting etc. This tells us that the job market and opportunity for Blockchain related roles are going to be big in the near future. With many tech giants like Accenture, IBM have already started to hire more talents in this technology, the job market looks to be a promising one for any technology professional. Why take online Blockchain course? How is it better than offline course? What are prerequisites for learning blockchain? How can a beginner learn Blockchain? Blockchain as a technology is dominating the job market. For complete beginners, we have compiled an extensive list of blogs and tutorials on our blogging and Youtube channel which can definitely be a great help if you are looking to start out. Once, you are clear with the basic concepts, you can think about taking up Edureka’s Blockchain certification training to truly master the technology. Edureka’s Blockchain certification training offers variable batch schedule to suit everyone’s needs. The weekend batches run for 6 weeks of live instructor led sessions. Which is then followed by real-time project for better hands-on. The accelerated program or the weekday batches can be completed in much shorter time with rigorous training sessions and live project to work-on at the end.